The Solidarity Center’s principal partner in Kenya is the Kenyan Central Organization of Trade Unions (COTU-Kenya), whose 2,000,000 members represent more than 30 percent of Kenya’s industrialized workforce. The Solidarity Center works to empower women and youth in trade unions to better enable them to advocate for their rights as union members and negotiate for improved working conditions. Solidarity Center’s programs in Kenya also include support for legal recognition of the workplace rights of domestic workers, who as workers in the informal economy, are not covered by wage laws, or job safety and health rules. 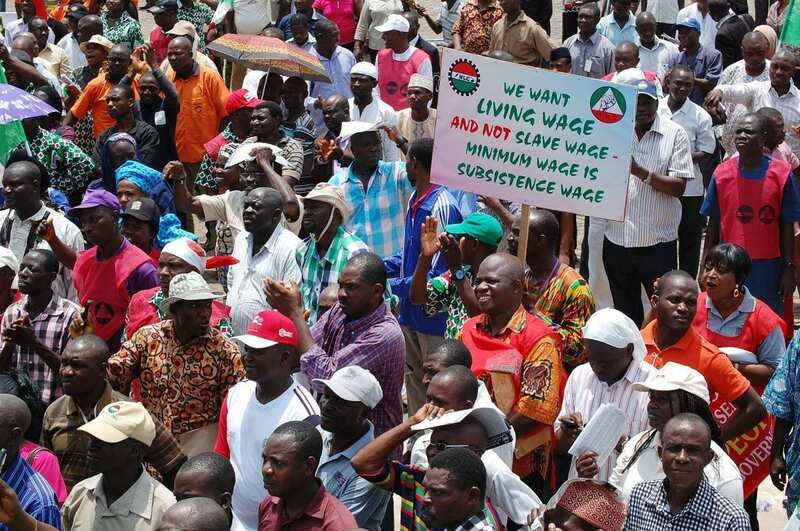 As a significant force in civil society, the Kenyan labor movement provides a power base from which to leverage higher wages, address corruption within national and local political systems and advocate for pro-worker economic policies and shared prosperity. The role of civil society is especially important following enactment of a new constitution in 2010 which created a decentralized system of government that is only now beginning to be implemented so that power, resources and representation are gradually shifted from the central government to the local level. Like many countries in sub-Saharan Africa, Kenya has experienced steady economic growth in recent years, through exports and expanding foreign direct investment. Yet workers and their families are not sharing equitably in Kenya’s prosperity: Poverty was more than 43 percent in 2011. The wealthiest 10 percent of Kenya’s households held 42 percent of the total income in 2011, with the poorest 10 percent of households holding just 1 percent of total income. The Kenyan economy has yet to generate sufficient good jobs, and workers—especially women and youth—are increasingly being pushed out of the formal economy into insecure, vulnerable and low-paying jobs in the informal sector and subsistence agriculture. Many Kenyans are also are migrating to other countries in search of better job opportunities. In 1990, just over 163,000 workers migrated from Kenya. By mid-2013 the number of migrants from Kenya had risen to nearly 1 million. Although remittances have become an important source of government revenue, large-scale migration of workers exacts a social toll on families and communities and puts migrating workers at risk of exploitation by unscrupulous recruitment agencies in Kenya and by some employers in destination countries.